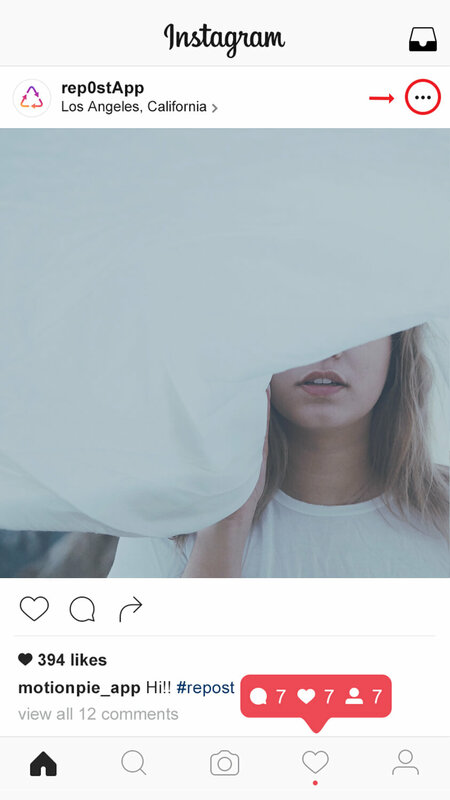 Open Instagram and tap the “•••” button of the post you wish to repost. 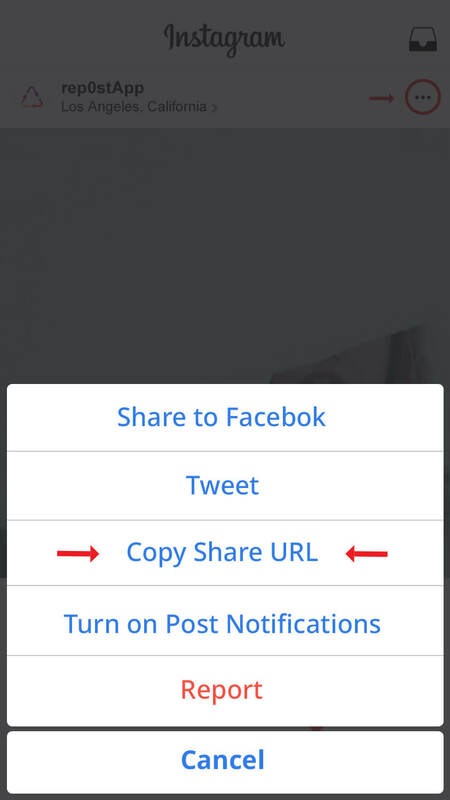 Tap the "Copy Share URL" button. Open the Rep0st App. The copied post will automatically pop up at the top of the list. Tip: Tap the "import" button to select your own content from your Camera Roll. You can then add a watermark or logo to your photo. You can also add graphics to your photos and videos. Add smileys, graphics, and borders, or simply upload your own logo or watermark. 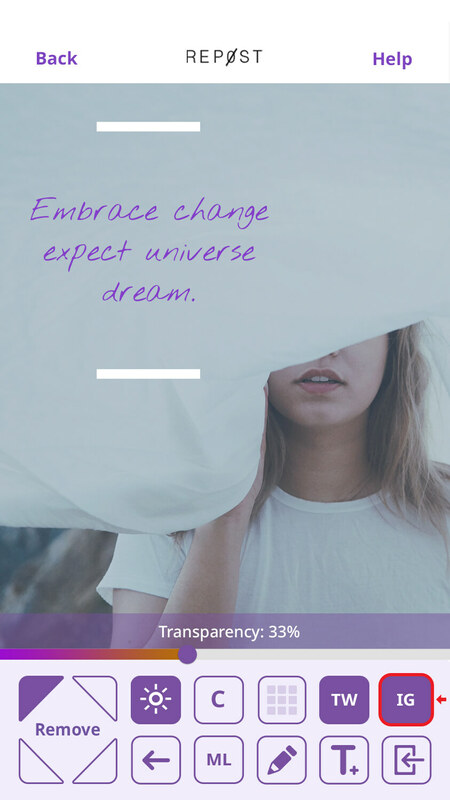 You can then adjust the position and the transparency of your graphic. Once you are ready to post your content simply tap “IG” to upload to Instagram or tap “TW” for Twitter. 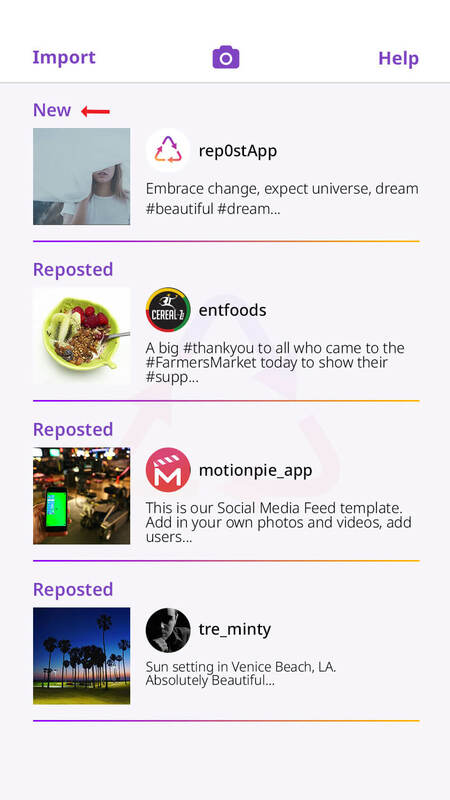 User-friendly, easy to use reposting application for Instagram and Twitter.